This book is a unique and original examination of borders and bordering practices in the Western Balkans prior to, during, and after the migrant "crisis" of the 2010s. 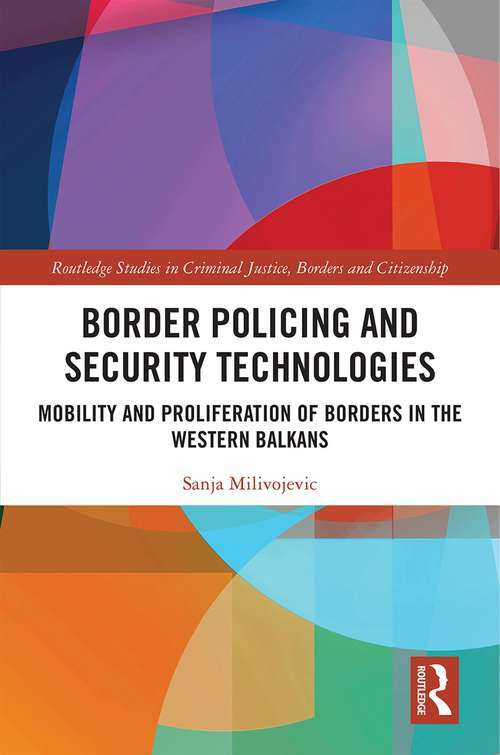 Based on extensive, mixed-method, exploratory research in Serbia, Croatia, FYR Macedonia, and Kosovo, the book charts technological and human interventions deployed in this region that simultaneously enable and hinder the mobility projects of border crossers. Within the rich historical context of the Balkan Wars and subsequent displacement of many people from the region and beyond, this book discusses the types and locations of borders as well as their development, transformation, and impact on people on the move. These border crossers fall into three distinct categories: people from the Middle East, Africa, and Asia transiting the region; citizens of the Western Balkans seeking asylum and access to labour markets in the EU; and women border crossers. This book also maps border struggles that follow these processes, analyses the creation of labour "reserves" in the region, and examines the role that technology – in particular smartphones and social media - play in regulating mobility and creating social change. This volume also explores the role of the EU in, and the impact of the aforementioned processes on nation-states of the Western Balkans, their European future, and mobility in the region. Whilst the book focusses on a particular region in Southeast Europe, its findings can be easily applied to other social contexts and settings. It will be particularly useful to academics and postgraduate students studying social sciences such as criminology, sociology, legal studies, law, international relations, political science, and gender studies. It will also be useful for legal practitioners, NGO activists, and government officials.